Speaking in Downing Street after the vote, Mrs May vowed to deliver the Brexit “people voted for” but said she had listened to the concerns of MPs who voted against her. 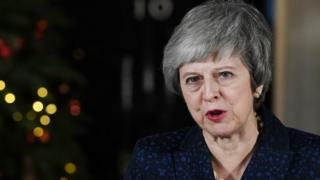 “I have heard what the House of Commons said about the Northern Ireland backstop and, when I go to the European council tomorrow, I will be seeking legal and political assurances that will assuage the concerns that members of parliament have on that issue,” she said. At Thursday’s summit, she will have an opportunity to spell out face to face the problems surrounding the withdrawal agreement at Westminster to the 27 other EU leaders. Without Mrs May, the EU leaders will then consider what could be done. The Brexit withdrawal agreement only talks about ‘best endeavours’ being used to reach an agreement during the transition period. But the draft put forward by the European Council could be subject to change, the BBC’s Adam Fleming says. But the same document reiterates that the withdrawal agreement is not open to renegotiation, adding that it would not have been even if the Conservative Party had changed leaders. 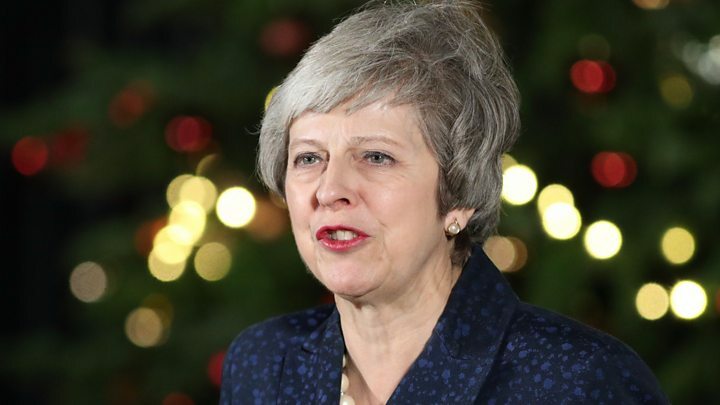 Mrs May spoke of a “renewed mission – delivering the Brexit people voted for, bringing the country back together and building a country that really works for everyone”. The outcome of the vote was welcomed by Austrian chancellor Sebastian Kurz, who said avoiding a no-deal exit from the EU was a “shared goal”. 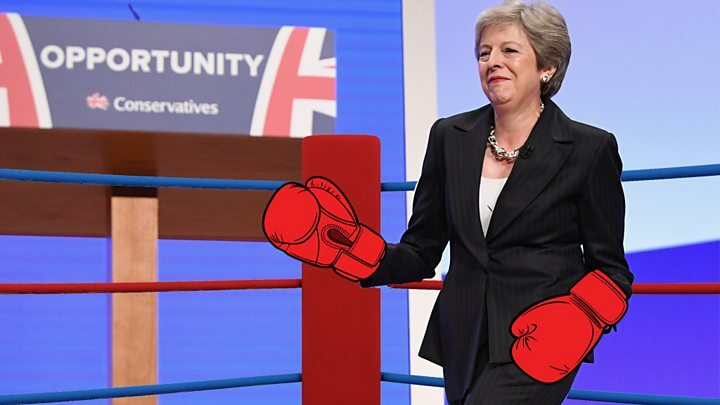 But Mrs May still faces a battle to get her Brexit deal through the UK parliament, with all opposition parties and dozens of her own MPs against it. Jacob Rees-Mogg, who led calls for the confidence vote, said losing the support of a third of her MPs was a “terrible result for the prime minister” and he urged her to resign. 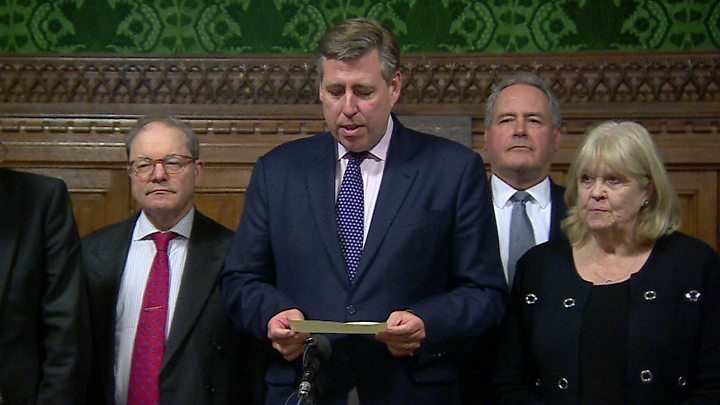 Brexit-backing Tory MP Mark Francois told the BBC it was “devastating” that more than half of backbenchers not serving in the government had abandoned the prime minister. Transport Secretary Chris Grayling conceded there were “lessons” for the prime minister and the party in the result but former cabinet minister Damian Green said it was a “decisive” victory which should allow Mrs May to “move on and get on with the job in hand”. Nicholas Soames urged Brexiteers to “throw their weight” behind the PM as she sought to address the “grave concerns” many MPs had about aspects of the EU deal. Labour leader Jeremy Corbyn said the vote had “changed nothing”. Labour has said it will table a no-confidence motion that all MPs – not just Conservatives – will be able to vote in when they felt they had a chance of winning it, and forcing a general election. The SNP’s Stephen Gethins urged Labour to “step up to the plate” and call a vote of no confidence in Mrs May, accusing the government of “playing games with people’s lives”. “I don’t think this vote really changes anything very much in terms of the arithmetic,” he told BBC News.